Projector-camera systems are designed to improve the projection quality by comparing original images with their captured projections, which is usually complicated due to high photometric and geometric variations. Many research works address this problem using their own test data which makes it extremely difficult to compare different proposals. This paper has two main contributions. Firstly, we introduce a new database of acquired image projections (DAcImPro) that, covering photometric and geometric conditions and providing data for ground-truth computation, can serve to evaluate different algorithms in projector-camera systems. Secondly, a new object recognition scenario from acquired projections is presented, which could be of a great interest in such domains, as home video projections and public presentations. 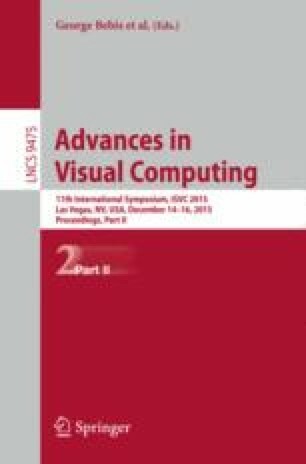 We show that the task is more challenging than the classical recognition problem and thus requires additional pre-processing, such as color compensation or projection area selection. This project has been partially funded by MINECO (TIN2014-61068-R).